You will be picked up from your hotel in Paris in the early morning. Att 7:15 am you will set off on the Normandy highway after passing through the western districts of Paris. After about two hours on the road, the bus will make its first stop in the city of Rouen. Your guide will take you on a walking tour of the historic district featuring the magnificent Notre Dame Cathedral, the Gros Horloge (an astronomical clock that is one of the city's treasures), the half-timbered houses and the medieval pedestrian streets that give the area an authentic charm. Rouen has inspired a number of Impressionists, including Claude Monet who depicted the Cathedral in a series of paintings. The morning ends with an hour-long drive to Honfleur. During the ride, be sure to look for the incredible Pont de Normandie suspension bridge that spans the Seine estuary. During the stop in Honfleur you will have the chance to explore the town on your own. Enjoy the picturesque streets and colourful houses of this quintessential harbour town. This is the perfect chance to have lunch in one of Honfleur's restaurants on a terrace with a view of the sea. After lunch, the bus will set off again, this time along the Norman coastline. Explore the famous Normandy beaches where the Allies landed on June 6, 1944. These are must-see sites for World War II history. The American Cemetery in Colleville sur Mer, located near Omaha Beach, is a place for quiet reflection. Commemorating the Battle of Normandy, the cemetery is notable for its size, 70 hectares, and its rows of white marble tombstones. After leaving this site, the next stop is Arromanches beach (25 minutes from Colleville sur Mer), where you can still spy traces of the pontoons used to support the artificial harbour (built in England and towed to this site for the landings) despite the wear and tear inflicted by the sea. The bus leaves for Angers around 4:30 pm. After a ride of about three hours, you will get off at the Angers Centre (or a similar hotel) where you will spend the night. You will have free time to have dinner close to the hotel, in the center of Angers, where many restaurants are located. The third day begins with breakfast at the hotel. You will then set off for the Loire Valley and the first tour will take place at Château de Langeais, a well-preserved fortified castle. Your guide will take you through the interior of the château, where depictions of everyday life in the medieval era using highly realistic wax figures will take you on a voyage of discovery through French history. The afternoon kicks off with a guided tour of Château de Chenonceau, just 20 kilometres from Amboise. This Renaissance masterpiece that spans the Cher river looks like a palace from a fairytale and has played a major role in French history. 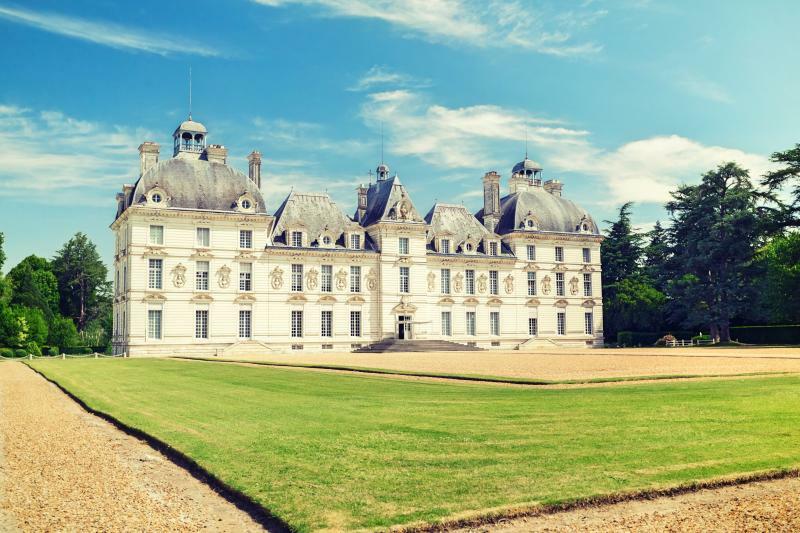 Also known as the "Château des Dames", it was built and renovated over a period of many years by a number of famous women from French history (including Diane de Poitiers and Catherine de' Medici). During your guided tour you will get the chance to admire the lavishly appointed rooms that embody the refined French way of life in the castle's heyday. Your journey continues with a wine tasting in the Cave des Dômes in Chenonceaux. The bus leaves from Chenonceaux at 5.15 pm to arrive in downtown Paris around 8:00 pm.